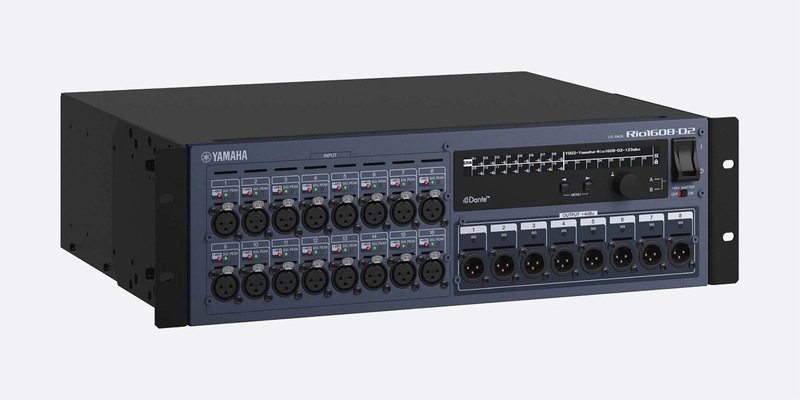 These remote I/O interfaces utilise DANTE to operate in conjunction with Yamaha's QL1 and QL5 mixing consoles. Once implemented the operator gains remote inputs and/or outputs away from the front of house mixing console yet maintain full digital control of the signal processing. See Yamaha mixers - QL Series - DANTE capable. 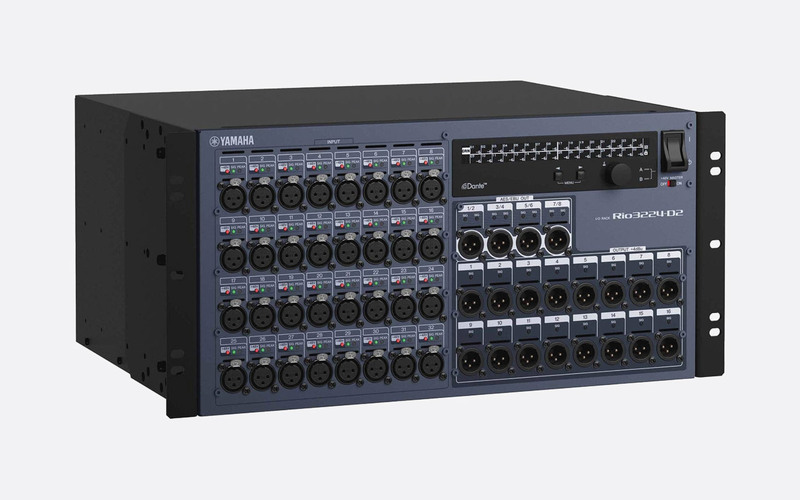 Yamaha's Rio1608-D is a 3U rack-mountable, remote I/O, designed to work seamlessly alongside the QL or CL range of digital mixing consoles. With 16 balanced analogue XLR inputs and 8 balanced XLR outputs the Rio1608-D can be utilised as a stage box to reduce the audio cable runs to the front of house mixer. Equally it could be positioned in the live room of a studio with the benefits of a single DANTE network cable run back to the control room console. The DANTE network protocol gives flexibility in terms of scalability whereby a user can link multiple Rio interfaces to their QL mixing console to increase the number of I/O connections available. 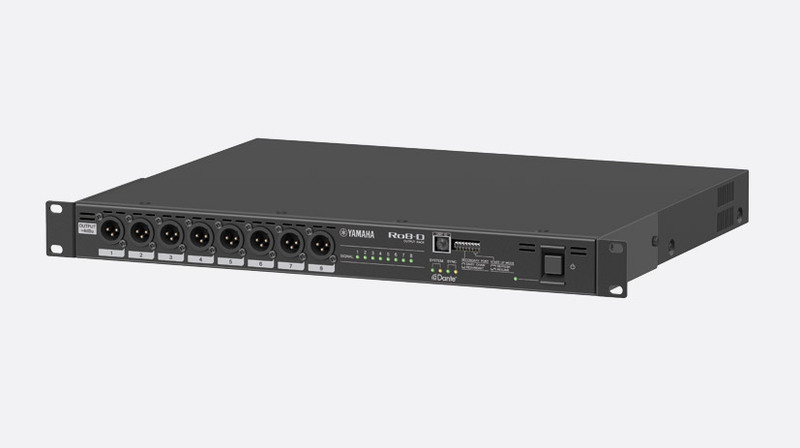 Sampling rates of 44.1kHz, 48kHz, 88.2kHz and 96kHz are supported in the Rio1608-D and across the R series I/O racks. To retain a consistently transmitted sound level when multiple compatible mixing consoles are connected to a single Rio1608-D, a digital-stage gain compensation feature automatically compensates for analogue gain adjustments made by the operator. Operation can be handled without the need for a QL series console via the R Remote application for Mac OS X. Power consumption: 70W. Dimensions: 3U, 480 x 144 x 361.5mm (WxHxD). Weight: 8.8kg. 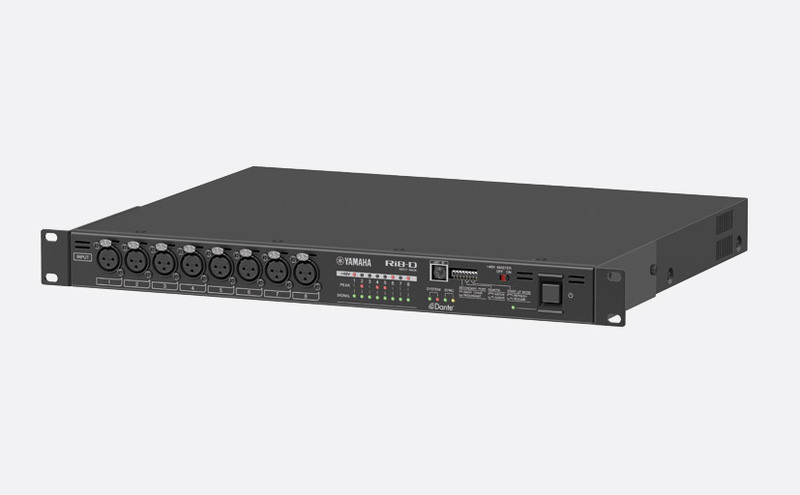 Rio3224-D has all the functionality of the Rio1608-D however it features a total of 32 analogue inputs with XLR3-31 type connections, and 16 analogue outputs plus 8 (4 stereo) 24bit AES/EBU outputs with balanced XLR-3-32 type connections. The Rio3224-D is rack-mountable and requires 5U vertical rack space. Power consumption: 120W. Dimensions: 5U, 480 x 232 x 362mm (WxHxD). Weight: 12.4kg. Ri8-D DANTE interface has many of the same features as the Rio1608-D, however this 1U rack mountable DANTE input interface has 8 analogue inputs on 3-pin XLR. This unit does not offer any outputs. Power consumption: 35W. Dimensions: 1U, 480 x 44 x 362mm (WxHxD). Weight: 4.5kg. The Ro8-D is the alter-ego of the Ri8-D and offers 8 analogue outputs within its 1U rack-mountable casing. The Ro8-D does not offer any input connections. Power consumption: 35W. Dimensions: 1U, 480 x 44 x 359mm (WxHxD). Weight: 4.4kg.